BlazBlue Central Fiction's console version has now been confirmed for PlayStation 4 and PlayStation 3. Joining the playable cast from the XBlaze games comes Es. 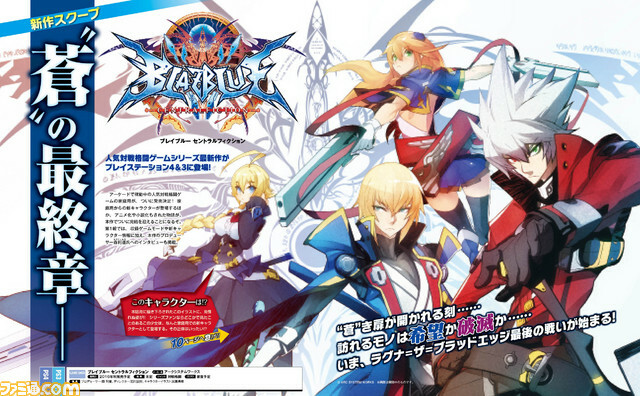 XBlaze Code:Embryo and XBlaze Lost:Memories are visual novels set in the same multiverse as BlazBlue. 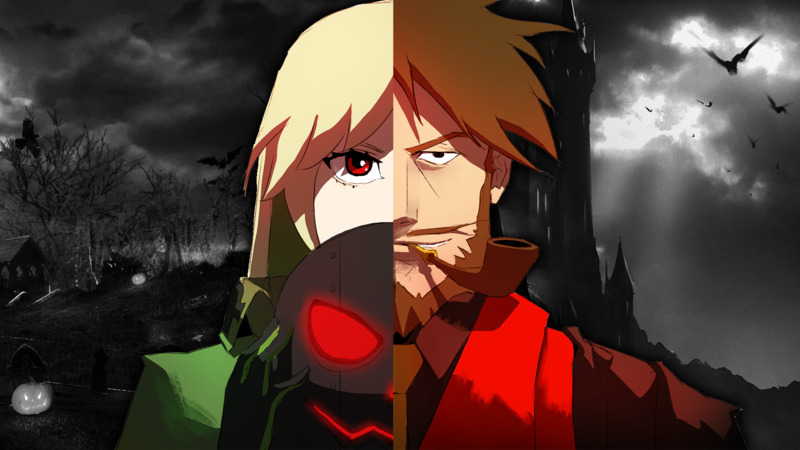 While largely unconnected, they share a lot of the same lore terminology and the main character from Lost:Memories resembles BlazBlue's Nine to such an extent that many believe they are the same person. More details on new character Es, game modes and an interview with series creator and producer Toshimichi Mori to come in a 10-page feature in this week's Famitsu. Do note that this offer is only for PS4 download version of the game on PSN, not disc! Be sure to thank Aksys for giving everyone a chance to start training ahead of the game's full release on June 7th. As aways with pre-release events, do note the new characters are not finalized and may be different upon final release. 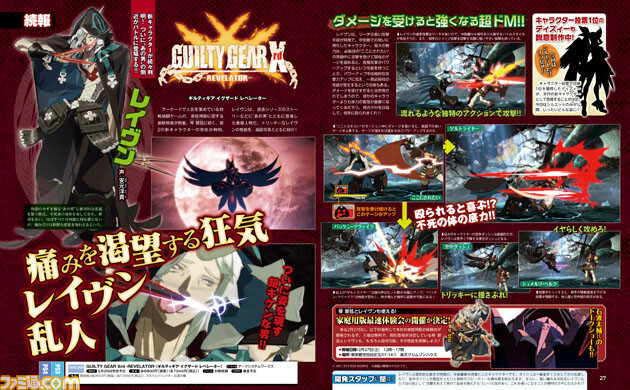 Raven has been revealed to be a playable character in the console version Guilty Gear Xrd Revelator. Originally appearing as a story NPC, Raven made his debut as a playable character in Guilty Gear 2: Overture but Revelator marks the first time that he's playable in a fighting game. One of the servants of That Man, Raven is a masochist who gets stronger the more damage he takes. 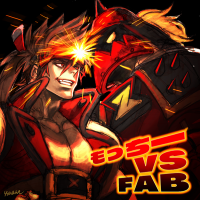 Japan's famous Takadanobaba Mikado Arcade, commonly referred to as simply "Mikado," has begun a Guilty Gear Xrd -Revelator- league competition called Mikado Tenkaichi Budokai. The event features eight world-class Guilty Gear players who regularly play at Mikado separated into two leagues. In A League, the players are Karinchu, who has been extraordinarily dominant since Xrd's release, first with his Millia and Ramlethal, and now with Johnny; Koichi, who is known for his I-No, but has played many characters and games over the years; Nage, the best Faust in the world, famous for his trademark pink color; and mike, a former Jam player who is now considered to be the strongest Jack-O. B League features Mocchi, a former Bridget player who went by the name Mugen, now playing Sol in Xrd; Fino, who is generally considered to be the strongest Venom player; Ogawa, the famous Zato-1 main who won EVO 2015 and is argued to be the strongest Guilty Gear player in the world; and FAB, who is known for his terrifying instant blocks and for making Potemkin look like a strong character. Koichi and Fino qualified through a fan vote. mike had to win a Last Chance Qualifier to take the final spot. All of Mikado Tenkaichi Budokai will be streamed over on Jonio's twitch channel. http://twitch.tv/joniosan The first match, Mocchi vs FAB FT10, has already concluded, and can be found below, and the rest of the matches will presumably be uploaded to the same channel. 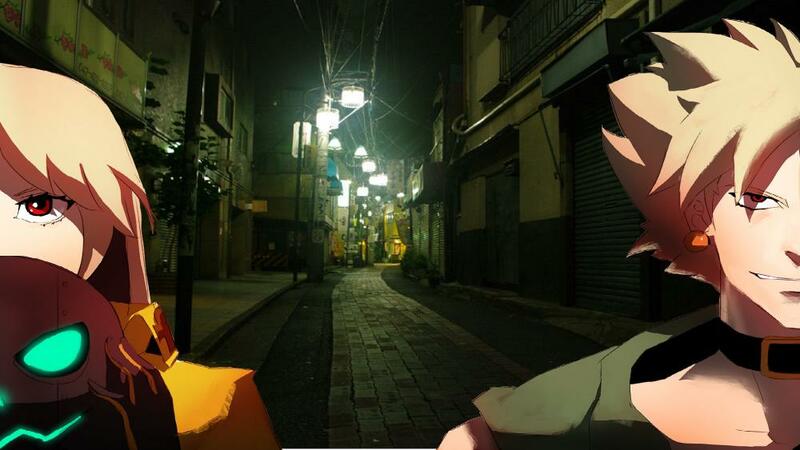 Finally, the art found in this article was made by @sutegoro4403 on Twitter.